Ciro, this is his real name, using the Black Legend pseudonym, conceived, produced and released in 1999 on Time/Rise Records, the single "You See The Trouble With Me", that in no time turned into a self growing success. In June 2000, after getting licensed almost in every country of the world, Black Legend reaches the n1 spot of the UK's official singles sales chart, selling about 2 million copies worldwide of the single alone and, of course, gaining a collection of gold and platinum discs and, of course, becoming one of the new millenium disco & house classics and one of the all times Ibiza s anthems. He was already an internationally renowned and respected DJ and producer way before the Black Legend success. During his 25 years high profile activity in the dance music biz, he has built a huge discography, releasing original productions and remixes under many pseudonyms (to name a few: Q, J-Reverse, Jackie Reverse, Cocobongo, Escape From Forio, The Messengers, Club Junkees and of course Black Legend). On the remixes side he worked on projects like Byron Stingily "You make Me feel" (BMG), Le Negresses Vertes (Virgin), Hanry "Choo Choo" Romero "What Happened" (Slip n Slide), Michael Gray "The Weekend" and Sunblock "I'll Be Ready" and "First Time" (Universal) just to name a few. In more than one occasion his remix became the main version that entered the charts worldwide, like for "Shimmy Shake" by 740 Boyz (Warner) back in 1994 or for "Another Day In Paradise" (WEA) in 2001. No wonder then if his works are often featured on specialized top radio shows (like Pete Tong's BBC Radio1 Essential Mix) and on the "most wanted" worldwide charts and top DJs playlists. 2014 is the year of the return to his first love After dedicating himself for a few years to mainly pop third party productions, Ciro decided to go back to his roots and, under the Back Legend Project alias, got full time dedicated to producing and remixing house tracks with a strong club appeal. It only took him a few months of work to start invading the new house music scene with new and upcoming releases on labels such Tactical, Jungle Funk, Mjuzieek, Supercharged, Pornostar, Kidology and Marfil. 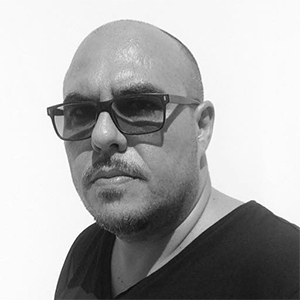 When outside of the recording studio and clubs, Ciro is the owner and A&R of "Reverse Records" and â€œiLike Recordsâ€ labels that, since 2003, keeps spreading quality house music around the globe.